"Hottest New Lures" & "Wild Action Spoons"
We sell live bait, minnows and maggots. Located on the ice at the end of Hadden Rd. 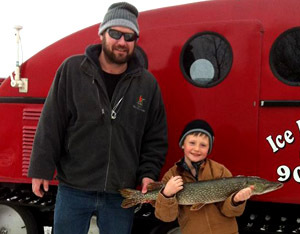 Look for the Big Red Fish on the ice. 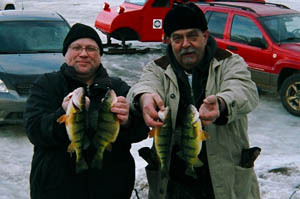 Buy your live minnows with us with "Mike's Big Scoop". 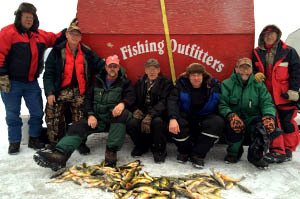 We also rent insulated ice fishing huts that are heated by vented propane furnaces. Each hut is supplied with padded benches and a bucket of minnows. For more details visit our Ice Hut Rentals page. 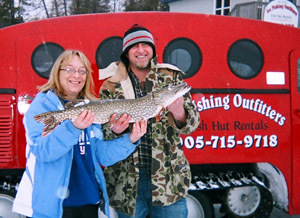 Our huts are located on the Legendary fishing grounds around Georgina Island. 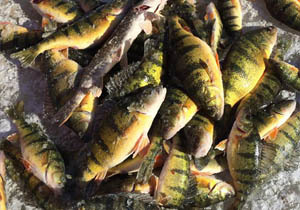 The Perch and Pike grounds are located south of Georgina Island in depths ranging from 10ft to 20ft.